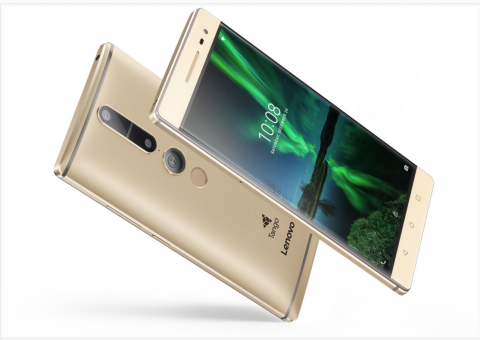 Here's a look at one of the first new smartphones to incorporate Google's Tango http://shop.lenovo.com/us/en/tango/ There are 35 applications already being launched with Tango support to include Matterport’s Scenes app which allows users to capture their spaces in volumetric 3D. As predicted this is the main reason MP has attracted so much investment it plans on being the Facebook of VT's shot on these new devices and most likely charging a small fee to process them as well as host them in the cloud. Granted the quality won't be the same as what we can shoot but if real estate agents are happy with pictures shot on their phones of homes they'll be happy with what they can shoot on a Real Sense equipped smartphones and tablets to produce a basic VT of a property. The times they are a changing! Just about to post this . @GarySnyder, I think you are right on the money. Matterport's enthusiasm towards tango is uncharacteristic of their proprietary nature, so I do believe that they made the decision early on to position themselves to ride the wave and be part of tango instead of competing. @VRealExperience Matterport takes a 3D scan and aligns panoramas to it. Combined with a rock solid viewer for the web, matterport differentiates itself. What I do think is that matterport might not be releasing a second camera and instead be focusing on tango devices as the successor. It will certainly be interesting to see where this leads. Matterport should consider opening up to third party solutions to differentiate their platform and add value to it. Learning more and more programs related to imagery is just not something Realtors will be interest in. We are in an image revolution, I knew the risks when I purchased the system. I talk to Realtors every day that do not even know what Matterport is let alone how to make it work in their business. Imagine a special rotating mount that you can attach to your tripod. The mount rotates 360 degrees and is controlled through an app. You pull out your Tango phone and attach it to the mount, then launch an app that captures 360 photos and scans the surroundings at the same time. The CPU/GPU of the phone is powerful enough to capture and compute the results without the need of transferring any data. This scenario doesn't seem too distant to me. There already exist pano mounts for smartphones and tablets so as you say it's just a matter of time before someone takes it to the next level for $100 or so. That CNET video showing Matterport's CEO and a couple of other people is interesting. They had no tripod for the demo. Instead, they waved the camera around as if "painting" all room areas. They were able to wave the camera back over areas that had holes and likened the process to working with a jigsaw puzzle. It looks like their ipads showed them areas needing to be "painted." I thought the camera needed to spin in a circle to work but in that video, they're holding a hand-held camera that they seemingly move around at will to capture the images and data they need to construct a model. If you don't need a tripod to scan a room, maybe photographers on a budget could just buy the camera. Without the tripod, it looks pretty ordinary. I'd never guess it's cost to be $4,500. However when I look at the whole camera/motorized tripod assembly, $4,500 might seem reasonable. @UserName, the link from CNET VIDEO doesn´t work. Could you please check it and post it again. Thanks! Here's the link. I also updated it in the original post. The video provides an interesting behind-the-scenes look at folks in charge showing how the technology works at a high level. I'm sure more people work at Matterport, but the video may give the impression that the workforce is only three. Maybe their hand-held painting process only demonstrates capturing point cloud data. I still can't imagine how they could capture image panoramas using a random piece meal "scan whatever you like and the software will figure it out" process. Maybe insidemaps will incorporate this technology. That will create some good competition! It is an interesting development. For what I see this is just a proof of concept and it still requires refining, but the idea of going to portability is there. Getting rid of the motor via a better software seems to be the logic next step in terms of incremental innovation. Anyway, as I said, a very interesting development. As you may have read on TechCrunch today [1 November 2016], Matterport is very pleased to announce the launch of Matterport Scenes! Matterport Scenes is a mobile capture solution, currently available exclusively on the Lenovo Phab2 Pro, which launches today (Nov 1). The Phab2 Pro is available from the Lenovo website, as well as at Lowe's and other retailers. Only the Phab2 Pro has the necessary sensors to support Matterport Scenes. Matterport Scenes provides handheld 3D scanning capabilities on devices that are compatible with Google Tango technology. The app is suitable for capturing spaces up to room-size, and the objects in them – scenes. The scanned scenes are viewed on-device as enhanced point clouds. It works for well for viewing spacial relationships and measuring in 3D space. By using the trimming functions, users can isolate individual objects like furniture (or people), view and measure them any time. Matterport Scenes is not, in any way, a competitor to the Pro camera. The visual fidelity and scan-size limitations are not appropriate for scanning and showing residential real estate or, for example, documenting large constructions sites. Matterport Scenes and the Matterport Pro camera are very different tools, for very different purposes. Our Pro camera is (and will continue to be) the best way to capture spaces in 3D. OK, who is it for? Anyone who needs to measure things, especially when they aren't on-site. "How tall is that counter? How wide is that stove?" 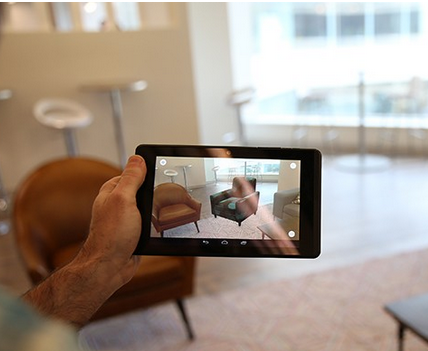 Construction contractors, interior designers, home stagers, handymen/women, homebuyers, furniture shoppers, housepainters, plumbers, installers might all be interested in Matterport Scenes. @JC3DCX works for me. Crazy tech! I wonder if any Matterport provider has looked at this from the point of an actual home buyer searching for a home. While a lot of high tech gadgets may amaze, what's the average homebuyer's game plan when looking for a home? I might start out by looking at home photos. If those were all that existed, I could get by with that. If videos of homes existed, I'd look at those too. But, I think I could eliminate a lot of homes by simply seeing photos and going "yes" or "no." If a VR tour of a home existed, I'd use my browser to explore a home's rooms. Finally, I might don a VR headset if I found a home compeling enough to make me expend the energy to get a VR home to appear in my headset. These steps could probably vary. For instance, if I loved a picture of a home, I might jump right to the VR headset step. Over the years, I've learned that bells, whistles and amazing things software developers find amazing may not always be what average users mainly focus on. In a crunch, home photos could work for me -- like they did in the 1900s -- assuming videos and VR tours did not exist. On my todo list is to "explode" a set of panoramas into a grid of photos. Each photo represents one view of a room. The test would be to see if looking at a grid of many room photos, I could get an idea of how a room looked without having to view a 360 panorama. There's be no immersion or ability to "move around a room," but maybe a grid of photos could give me a sense of how a room would look if I visited it in person. This grid would be the ultimate low-tech solution that didn't cost a dime. As a home buyer, ideally, I could "see the entire house in a nutshell" without exploring anything virtually. @UserName, the game is changing and once a new technology is available the customer will adopt it sooner or later. In early 1980's McKinsey & Co, one of the most prestigious consulting firms in the world told AT&T to sell their mobile phone business because in their opinion the customers had enough communication alternatives with line phones and pay phones. "Who will feel the need to use a phone while driving from home to the office?" they said. Besides, if you really have the urgency to talk you always will have a pay phone just around the corner and a quarter in your pocket. I guess that you know the rest of the story...AT&T had to repurchase the mobile phone business at a premium many years after. Well, your reasoning is similar: if I can figure it out with photos why should I need a virtual tour? Just a piece of advice: do not do as AT&T and do not sell your Matterport camera yet, unless you have a better alternative but please do not think for a moment that virtual tours and VR are not going to stick because they will, sooner or later. @UserName, a photo can lie, a 3D tour not. You can photoshop a photo and make it appear "perfect" and you would fall in love with a home looking at the "perfect" shots and photos, until you visit the home in real life and then see the rooms are small, your furniture will have a problem fitting in and it does not look like the "perfect" photos. Then its much better looking at a 3D tour and know beforehand what you are going to find when getting there. Had a B&B experience where the rooms were shot so it looked spacious and when we got there you could barely more around in the space left by the double bed, and being after hours, had to stay there and get another B&B the following day. Not a nice experience. That's the great thing about VR headsets. You're in the house. @Gfantin - the AT&T story may be along the lines of this 1943 quote from IBM's CEO ..
Maybe home buyers could benefit from seeing a solid representation of a dollhouse created via a 3D printer. They could pick the model up, twirl it around and see it in full detail just like a Barbie dollhouse. Rooms could even have dimensions printed on the walls. It looks like Solid-Ideas beat us to the solid VR drawing board ..
Home buyers might not have physical dollhouse models to play with but realtors might if they could print them out. Clients who came in could then have a variety of virtual and non-virtual ways to explore potential homes. Clients might also have fun decorating dollhouses with toy furniture -- something you can't do in a VR model. All we need is a cheap 3D printer that prints physical dollhouses from floor plans or point clouds. 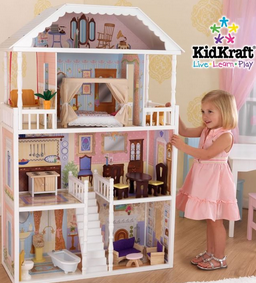 This would be an extreme of a 3D dollhouse representation of a real home. It would be tall enough to peek into. It's virtual but it's also real. If someone would like to start this service up as a 3rd Party, I will order some. 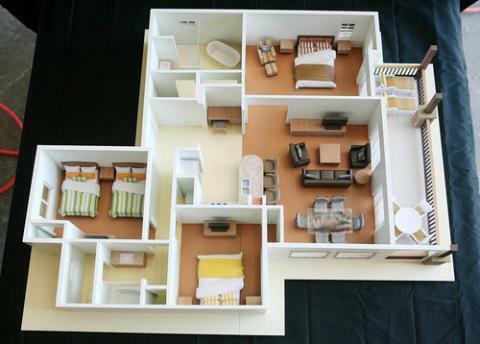 I have clients in the multi-family apartment industry that would love models of the apartments. @JC3DCX - That was my concern not only about price but feasibility. A realtor would probably have to keep adding office space just to hold his physical dollhouses unless the realtor could print dollhouses on demand AND make them vanish when they're no longer needed. I keep forgetting we're still living in the 21'st century but maybe in the future, every tech device we think of as amazing may sit in the antiquated devices section of a museum. Let's assume the following. 2) When you no longer need your printed object, you could convert it back into it's core material, maybe plastic that would be used when you print future objects. I visit a realtor and he/she simply prints out dollhouse models of homes I'm interested in. I'll guess that these capabilities probably couldn't happen before 2025. Fast 3D printers may arrive before then, but a realtor would need dirt-cheap printers that printed objects almost instantly and allowed you to recycle an object just as fast. A 3D printer like this brings to mind the Star Trek replicator which formed objects and even food instantly. All that today may sound as far-fetched as those "video telephones" people dreamed about in the 60s. Today, that video telephone is an ordinary smartphone. @DannyBasting - I've gotten my laptop's screen to stream to my phone using Chrome's remote desktop tool. But you're getting faster streaming using your app. Maybe you have ideas on whether it's possible to stream a Lenova phone's display to a VR headset which shows the image in side-by-side mode. If that was possible, maybe you could make your own Hololens. Here's an example of augmented reality happening on the Lenova phone .. It looks like the phone/phablet placed an augmented reality chair into the room. To see it, the person must look at the phone's screen. If you could project the entire screen into a VR headset and view it in SBS mode, perhaps you'd recreate the Hololens experience -- only with a wider field of view. Since the phone's camera "sees" the room, you'd have no head tracking. You'd have to move the phone to change your view. But at least with your VR headset on you'd be immersed in an augmented reality world where you could make things, such as furniture, appear and disappear at will. If I could have a Hololens experience for a fraction of the cost with an immersive field of view, I probably wouldn't mind the absence of head-tracking capabilities. I'd simply move my phone around to explore the augmented reality world. There's probably a reason this all can't work, but the ability to stream images from a PC to a phone make it seem like this could be possible. I may be mistaken, but long ago before they released this Tango phone, I may have seen a picture of someone who created a large headset capable of holding tablets. If you could make a large VR headset capable of also holding the Lenova phone, you wouldn't need head tracking since whenever you looked in any direction, the phone's camera would show the headset what the phone sees. I seem to be going through a lot of gyrations to keep from simply spending 3K on an actual Hololens which could do way more than any gadget we might invent. Side note - You can view VR in a headset without it displaying side-by-side images. Half of my Note 5's display was turning opaque purple. That's why it's in the shop. In the Gear VR, I covered up one lens -- the lens that showed the opaque purple -- and I could still explore environments in VR because each lens shows the same image (unless it's a 3D image). This implies that if you could shrink a Lenova's display down enough, you might could see it in a VR headset without trying to convert it into side-by-side mode. You'd simply cover one of the VR headset's lenses so your other eye could only see what the headset's receiving from the phone. If we make an image, such as a JPEG, big enough, but not too big, it can cover the entire field of view when you look at in while wearing a VR headset. That optimum size is the size we'd need the Lenova's display to be when it was streamed from the phone to the headset.